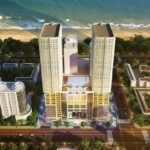 Nha Trang Renting Co., Ltd. The whole process of renting an apartment was easy and straightforward. Many thanks to Ms. Diem for assisting us to find and rent our apartment. Highly recommend. One of the best agencies I have ever been working at all. They will do anything, so you can find the home of your dreams. Thank you!!! !